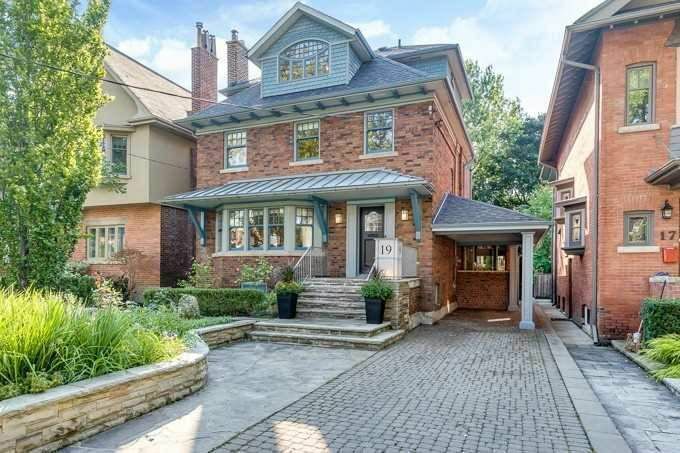 This North Rosedale Treasure On Prestigious St. Andrews Gdns Awaits Its New Owner; Move Right In To This Long-Beloved Family Home On A South Facing Lot W/ Gorgeous Gardens! Sun-Filled Gracious Principal Rooms, 40X138 Ft Lot, Over 4000 Sqft Incl Ll, 4+1 Bdrms, 4 Bath, Office/Music Room, Mudroom, Open Concept Kitchen/Family Rm W/Breakfast Area, Wall-To-Wall Windows & Doors Overlooking Pristine Gardens. Master Retreat W/Balcony Overlooks Your Garden Oasis.